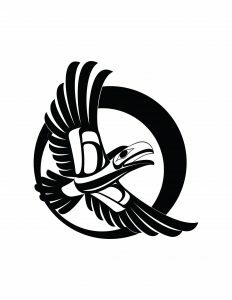 The Peter A. Allard School of Law is located upon traditional, ancestral, unceded Musqueam territory. 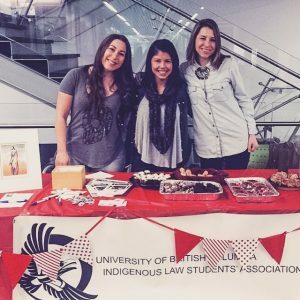 Having a place within the law school to not only honour this, but also serving to foster greater awareness to Indigenous issues is why the Indigenous Law Students’ Association (“ILSA”) is an integral part of our law school. ILSA provides a bridge between indigenous students of Allard, and the greater student body. Open to indigenous and non-indigenous students alike, ILSA hosts many events throughout the year and works to bring awareness to issues important to its members. Some past events that have been organized by ILSA are the Indigenous Awareness Camp, the annual Ugly Christmas Sweater Party, the Bannock-Off, the ILSA Golf Tournament, as well as an entire week dedicated to Indigenous Awareness. Maintaining and supporting a connection to our community of law students at Allard is an important part of ILSA’s mandate and is one which is only strengthened by continued participation by the many diverse students attending Allard. ILSA also maintains an important connection to the wider legal community, and is a great opportunity for students to develop connections and participate in events and activities outside of the law school. All of these great opportunities would not be possible without the participation of the wonderful students at Allard. You can get involved with ILSA by participating in our general meetings, joining committees and volunteering for events and event planning. We are so looking forward to next year, and cannot wait to see what exciting events will be planned by ILSA!